Folks, I totally forgot to inform you that at the end of last year, I spoke on the Ohio State English podcast about blogging. I discuss my rather shaky blogging feelings with fellow writers David Winter and Zachary Leven. Lee Martin also appears in the podcast. Please check it out here in iTunes. I am ecstatic to let you know that my story “The Muscle and the Eye” will appear in a forthcoming issue of The Southeast Review! I’m honored to be included in such a fine publication. My story, they tell me, will be part of the fall issue. Check out the current issue, too, because my good friend Jennifer M. Colatosti has a piece appearing in it. I will be reading some prose (and perhaps poetry) at the upcoming Paging Columbus reading on November 6th from 6-8 p.m. at the OSU Urban Arts Space in Columbus, Ohio. The theme is “Appetite, Hunger, and Craving,” a perfect subject for the first gnawings of winter. Fellow readers are Maggie Smith and Okla Elliott. Here’s a link to the Facebook event page— please come by! 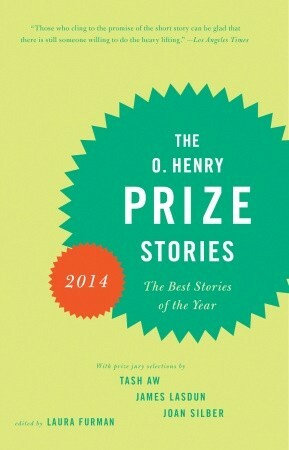 O. Henry Prize Stories 2014 Drops Today! It’s O. Henry day! My story “Good Faith” is in very good company in the anthology. Please pick up a copy from your local store (but if you’re in Omaha, Nebraska, don’t go to the Crossroads Barnes & Noble because my mom’s already cleaned them out), or read the introduction and buy it here. A week from today, the day after my birthday, the O. Henry Prize 2014 anthology drops, with my story “Good Faith” appearing in it. I would be much obliged if you would pre-order online or from your local store or just wait to pick it up next Tuesday. I’ve read some of the other stories that will be appearing in it, and they make it far worth the very good price. Sorry about the short notice, but the folks at Harpur Palate were nice enough to have me on the program for their reading tomorrow (Friday the 20th) night at The Lost Dog Lounge in Binghamton, New York at 9 p.m. I’ll be reading from “Good Faith,” so I hope that if you’re in the area, you’ll come by! As a follow-up to my last, very exciting announcement: The full table of contents for the 2014 O. Henry Prize Stories has been announced. You can read about the collection in Publishers Weekly (which has the new volume’s cover), the L.A. Times, Publishers Marketplace, and Mediabistro. Needless to say, I am incredibly honored to be among such good company. The anthology will be released by Anchor Books on September 9, but you can pre-order it here. You can also read the story that will be included in the collection, “Good Faith,” in its original publication in the Cincinnati Review, Issue 9.2. “Anonymous Donor” to appear in Alaska Quarterly Review! “The Muscle and the Eye” Nominated for a Pushcart Prize!